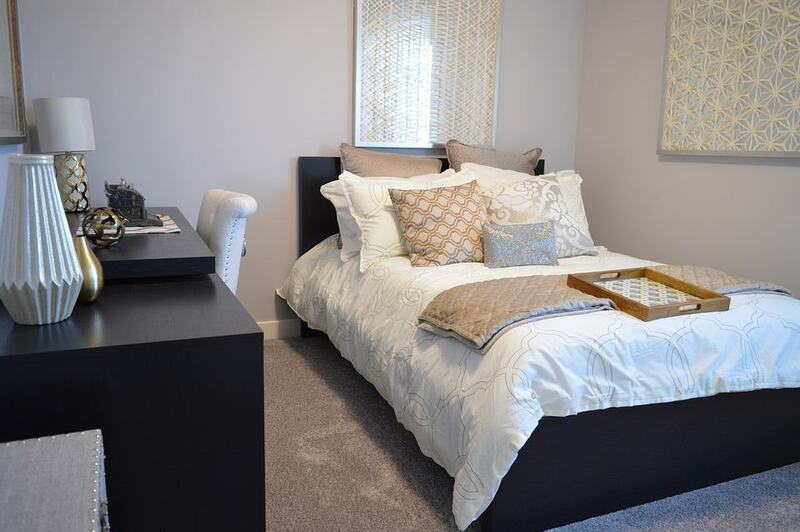 Have Berber carpet in your home? Repairing Berber carpet is a trick worth your time to learn. Berber is fairly hardy and certainly beautiful, but it can be damaged. Pulls in Berber carpet are some of the most common damage, so learning to repair Berber carpet pulls is important to learn. Other common problems you will want to learn to mend in Berber carpet are holes and cleaning stains. Repairing a burn on Berber carpet can be as easy as mending Berber carpet, or it may require a professional. If you are installing Berber carpet in your home or office, or are renting a home with Berber carpet, having the skills and know-how to repair Berber carpet is an important and smart way to keep your carpet looking good for years. Don’t forget to check out our guide on the Best Berber Carpets! The beauty of Berber carpeting means this style is in high demand and very common among carpeted homes and offices, and keeping it looking beautiful is a main concern of many consumers. Of course, the best way to keep your Berber looking great is to take precautions against damaging it in the first place. The most important thing you can do to keep Berber looking nice is to keep it clean. Berber is often made of a fiber called olefin. Olefin is naturally stain resistant and less expensive than other types of Berber carpet, but it does tend to attract natural oils and can look dirty. Know the fiber makeup of your carpet and make sure any cleaning product or stain remover you use on your Berber carpet is compatible. This is a smart way to keep from damaging your carpet irreparably. Berber is also prone to snags, as the carpet is looped. Be sure to choose a vacuum that does not have a rotating brush, as this can cause pulls in the carpet! Also, it’s good practice to leave shoes at the door if your home has Berber and to keep pet nails trimmed. Choose furniture that has rounded edges at the base or put furniture pads on the bottom of chair/sofa/table legs, to also help reduce pulls that could result from the furniture sliding around as people sit down or get up, or just regular use. Sometimes accidents just can’t be helped. That is why you need to learn more about how to repair Berber carpet in case you experience damage to your Berber. Learn these skills and you will be prepared for anything! DIY Repairs of Berber Carpet are Possible! Repairing Berber carpet is not very difficult and in many cases, you can fix any minor damage yourself with just a little time and work. That is great news for homeowners! Making repairs to your Berber carpet will save money and prevent you from needing to prematurely replace the Berber in your home. Help! My Berber Carpet Has Pulls! Berber carpet is made up of little loops of carpet fibers. This makes the carpeting low pile, but dense, which is one reason why so many really love the feel and look of Berber carpet. However, just like knitted fabric, if one of the loops comes undone, the carpet fibers can stick up which is rather noticeable and one of the most common types of damage you will see in Berber. If your Berber carpet has a pull, one quick way to fix this is to squirt a little non-water-based glue, like hot glue, deep into where the carpet loop was connected and then squish the stray end back in place. You may need to hold up the loop for a couple of minutes or prop it up with a toothpick until the glue dries somewhat to keep the loop from falling into the glue and getting matted, but this is a quick and simple way to fix one of the most common problems with your Berber carpet. Be careful not to use too much glue, as this will cause a hard spot in the carpet that is noticeable if you are walking in bare feet. Also, take note that we recommend a non-water based glue; if you use a glue that is water soluble, the next time you clean the carpet the glue will be broken down and the pulled loop will return! Help! My Pet Chewed My Berber Carpet! Pets and Berber carpet: a common conundrum. Pet owners like the low pile of Berber because this makes it simple to vacuum up the pet hair, dander and dirt. However, pet nails are not the only enemy of Berber when it comes to damage. What if your pet decides to forgo his rope toy and instead chew on your Berber carpet! The best way to repair Berber carpet that has been really damaged beyond repair like this by chewing or some other method is to remove a patch of carpet from your closet or another area where it will not be noticed and “patch” the damaged area. Place it carefully to make sure that the loops are going in the same direction. This method is more difficult than other ways to mend Berber carpet, but if you take your time, then you’ll be able to get it back to almost normal. Check out the video below to show you a sample of how to do this DIY repair using a patch of Berber carpet from the closet and a glue gun. If you are installing Berber carpet in your home, keep any spare pieces that have been cut to use for patching in the future of any irreparably damaged carpeting. 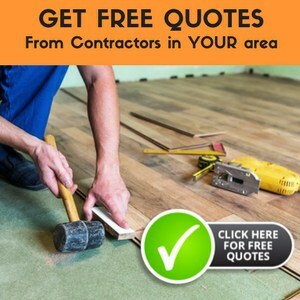 This is really best practice with any flooring you are installing in your home, as it’s the easiest way to do a quick fix. Help! Something Has Stained My Berber Carpet! Most of the time, the major issues people have with their Berber carpet is permanent stains, especially if you have children or pets. As with any staining on any material (flooring or otherwise), the best advice anyone can give you is to remove stains as soon as possible. Letting a stain sit for an extended amount of time will only cause it to set in deeply and become more and more difficult to remove. Blot the stain with an absorbent cotton or even a paper towel to try to draw any excess moisture into the cloth before it seeps deep into the carpet. Do not rub, as this will only spread and deepen the stain! Then, clean as directed by the carpet manufacturer. 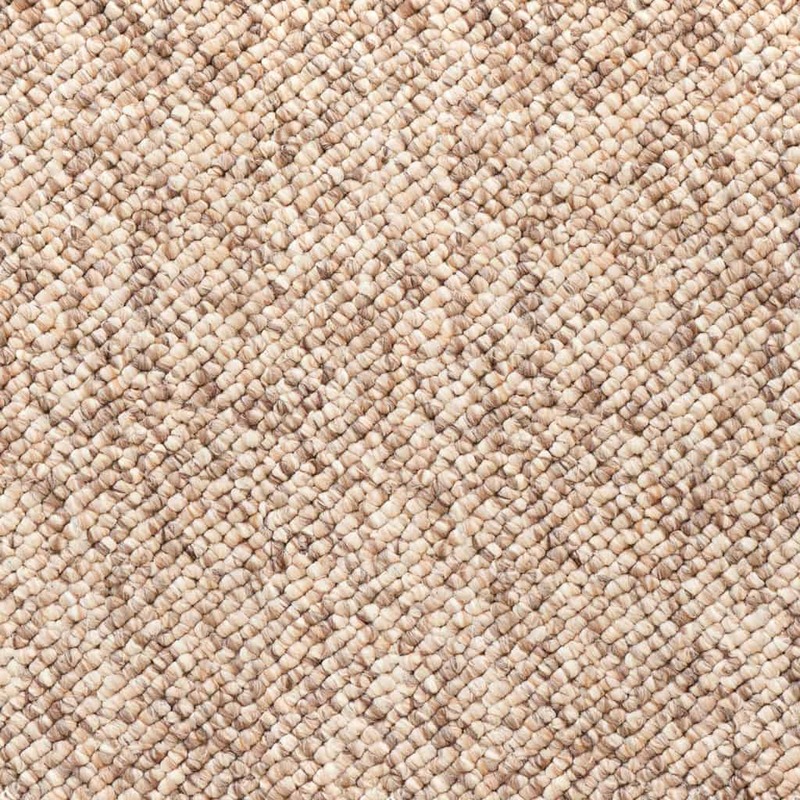 Use a stain remover that is compatible with the specific type of Berber carpet you have. 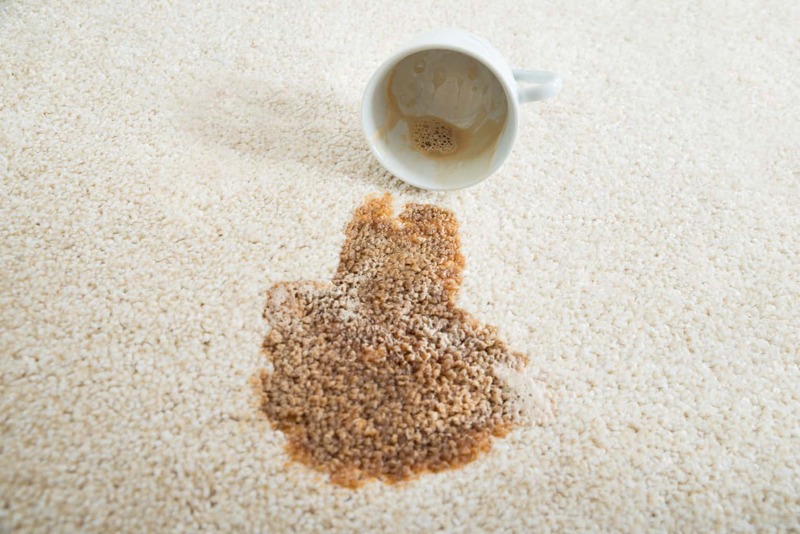 Due to the thickness of the loops of Berber carpet, it is very important to remove as much of the excess liquid or solid as possible before trying to clean or you could end up seeing the same stain arise again and again. If you diligently remove all stains as soon as possible, even the ones as stubborn as red sauce, wine, coffee or pet stains, you should not need to spend a lot of money repairing barber carpet in the future. Help! I Have a Snag In My Berber Carpet! 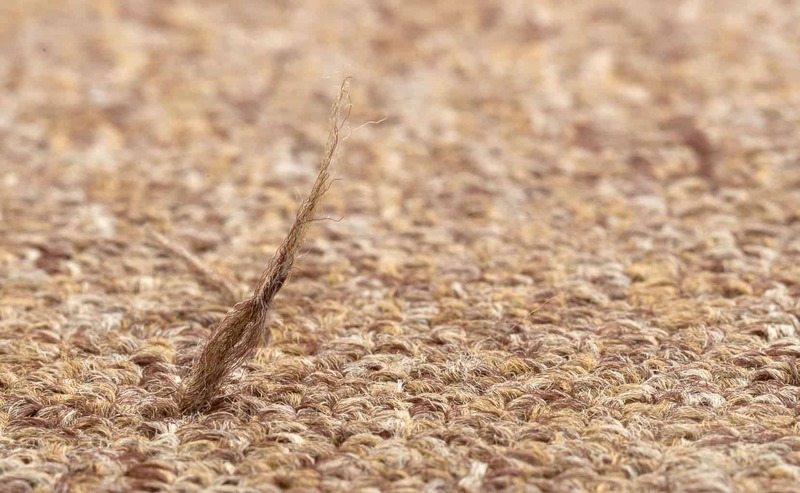 Similar to a pull in your Berber carpet, a snag is when one of the loops of fiber in the carpet actually breaks and is frayed. 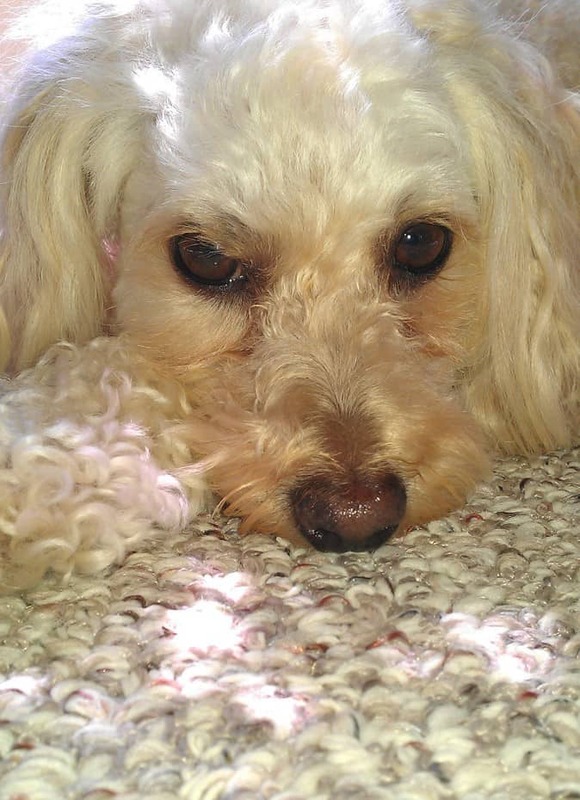 It is common to get snags in your carpet from furniture, pets, or just from being in a high traffic area of your home. Knowing how to repair Berber carpet snags and understanding that there is an easy fix, you won’t need to worry. If you’ve snagged just one single loop, all you need to do is use a scissors to cut the thread below the height of the loops, almost to the base of the carpet. I would also recommend at this point using hot glue (or another non-water based glue) to glue the loop to the base of the carpet. Help! My Berber Carpet Has a Burn Mark! Berber carpet burns are one of the most difficult damages to fix. In the case of burns, mildew, or crushed Berber carpet-where the loops have been completely matted down in a high traffic area of the home-it may be best to call in a professional or replace some or all of your carpet. Of course, you could try to replace the burned spot with a patch of carpet from a closet like suggested above for any irreparably damaged spots, but if you don’t want to try this, there is nowhere you can remove the carpet piece from without it being noticeable, or the damage is too widespread, then there are professionals available that can help you to repair burnt Berber carpet in a professional manner and most can do some kind of a patch job without having to replace the entire carpet. As with any professional, you will want to do some comparison shopping, but it’s usually a good idea for continuity to use the same retailer or find a retailer that carries the exact same make of Berber carpet that you are trying to replace. If you are unsure about how to go about fixing damage to your Berber carpet, it is probably best to consult a professional. Berber carpet is a huge investment and if you are not comfortable repairing it yourself, then you should be able to find someone who is a professional and can repair your Berber carpet or, in some instances, patch or replace a portion of it. It will be well worth your money and time to keep your carpet looking clean and unmarred, and maintaining your Berber carpet will increase the value of your home. I am so sorry about the flooding! I would consult a professional in your area about repair or replace. If you have insurance your insurance company would suggest a company that specializes in cleaning up after flooding. I recommend a professional as they are aware of the humidity levels in your area and the dangers that could pose (mold etc. )Good Luck Blair! I used mineral spirits to clean paint off of our berber carpet. Now I have a pucker in the same spot. How can I fix this? Thanks. What material is the berber is made of? If it’s not wool you may have melted the fibers. Mineral Spirits is not the ideal solution for berber. you can remove the mineral spirits so it’s not so obvious. It may be too late, Sara. I am on the board of directors for a Home Owners Association. We own a clubhouse that has berber carpeting. The joints between where some sections of the carpet were laid have frayed and threads are pulling up. Is there a way to repair this so as to give us a couple more years before we have to replace the carpet? A few years might be asking a bit much if the seam is in a high traffic area and without seeing the extent of the damage it might not be possible to simply repair the carpet although you may be able to fix the seams using some of the techniques outlined in the article. The seam repair can involve cutting a strip out of the seam that is loose and gluing in a remnant. Make sure the remnant has its grain running in the same direction as the rest of the carpet. Don’t forget to use a seam sealer not just seaming tape so you don’t run into the same problem later on! If the damage is significant I would call in a local professional to help determine the best course of action. My daughter accidentally burned my berber carpet in the living room with a pair of curling irons. The burn mark is black and about 3 square inches in size. Is there a way to repair this one section without replacing the carpet in the entire room? If you can match up the carpet, you could carefully cut out a square and replace it. Be sure to cut along the lines and use carpet glue along the edges so that it does not pull up or fray. If the burn is not that deep/bad, you may be able to shave the top off of the fibers with a razor. You would need to be careful to not cut into the carpet. This will look a little different, but if it’s it a discreet area, may work well. After moving furniture in the bedrooms my berbur carpet is very matted down where the furniture used to be. Is there any way to revive my carpet? I once seen on TV that you can use an iron and wet cloth. How does that work? A hot iron on steam, with a damp cloth would add moisture to the carpet. This would allow the fibers to swell up and be able to be brushed. I have not personally used this method and would be very careful not to burn the carpet, or to get it too wet. The berber should recover its shape over time and with regular vacuuming. My vacuum picked up a small loop of my berber caroet and pulled up a two foot piece of it…can it be repaired??? Oh my gosh! My husband was just vacuuming and the same thing happened to us. I could cry right now! Is there some way of weaving it back in?? what is the best glue to use for carpet repair? is there such a thing as ‘carpet glue’? If your Berber carpet has a pull, one way to fix this is to squirt a little non-water-based glue, like hot glue, into where the carpet was connected and then squish it back in place. You may need to hold up the loop for a couple of minutes until the glue dries somewhat to keep the loop from falling into the glue, but this is a small price to pay for fixing your Berber. The best glue would be a non-water-based glue, like hot glue. But, yes, there are carpet glues available at home centers that may work for you. My puppy chewed up our berber carpet right where it butts up against the marble surround on our fireplace. The only place I can get some carpet to replace it is possibly from under the entertainment center, but this will be a problem when we go to sell the house. Are these carpets hard to match at the store, mine is about 7 years old. And how hard it is to replace a piece that butts up against a marble slab? Thanks in advance. I would call local carpet stores in your area. Maybe even try going to a couple with a photo of the carpeting. Many carpet stores will have remnant peices available that you could use to patch your carpet. What do you do when your vacuum cleaner snags a pull in the carpet and rips it across to the other side of the room?